Product prices and availability are accurate as of 2019-04-18 17:50:43 EDT and are subject to change. Any price and availability information displayed on http://www.amazon.com/ at the time of purchase will apply to the purchase of this product. 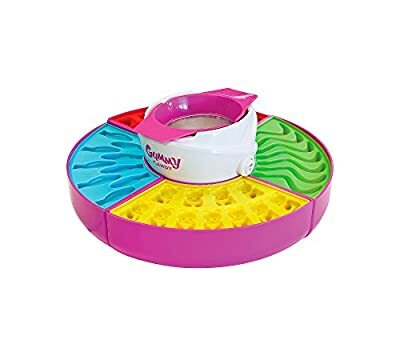 From gummy bears to wriggly worms, the Nostalgia candy maker has everything you need to make your favorite gummy treats. Simply heat gelatin in the heating pit and pour into the included silicone molds. Have a blast making all sorts of flavors of fish, worms and gummy bears with this easy-to-use silicone candy maker! Recipes provided or making your own. Mix and match flavors and colors.